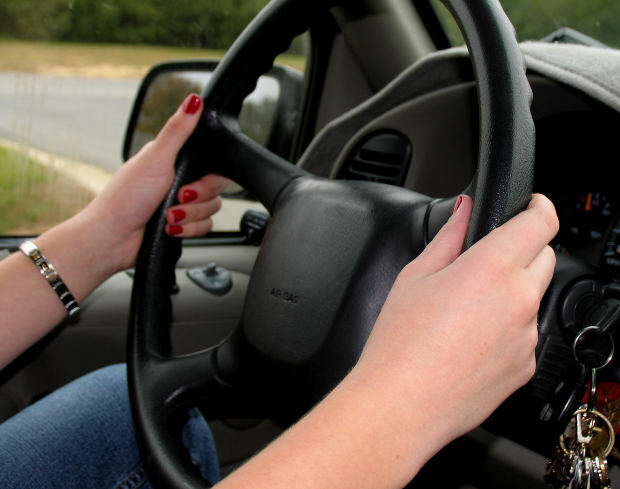 Poor driving habits and inexperience are the main factors involved in teen driving accidents. Parents often look forward to the moment when their teenage children can drive themselves to school and sports practices, but this momentous occasion can also result in parental anxiety and fear. Considering that auto accidents are the leading cause of death for teens in the United States, parents have a reason to feel anxious. Fortunately, most of these accidents are preventable. This back to school season, teach your teen driver how to avoid being seriously injured or killed in a preventable auto accident. Teens have a tendency to feel invincible. This “Superman Complex,” coupled with a lack of experience behind the wheel, can be extremely dangerous. Poor driving habits such as speeding, and reckless and distracted driving, are common factors in teen driving accidents. As a parent, the first step in combating these behaviors is to provide a good example. Practice what you preach; don’t text or talk on your cell phone when behind the wheel. If you must take a call, find a safe spot to pull over before doing so. Keep your phone in the glove box or stashed away in your purse while driving. Our children pay attention to our behaviors more than we think. A Boston auto accident lawyer can help you determine how to proceed if you’ve been injured due to another driver’s negligence. In addition to setting a good example, it’s important to set your teen driver up for success. This means providing your young one with a safe vehicle to drive. It doesn’t mean you have to spend $30,000 on a trendy, brand new car. Older cars can be just as safe if they are well-maintained. Check tires to ensure they are properly inflated and have sufficient tread. Bad tires are more prone to hydroplaning on wet roads and blowing out at high speeds. A young, inexperienced driver is less likely to respond appropriately in either of those situations. According to the CDC, at least one of the eight scenarios below is a factor in most teen car accidents. Before purchasing a car for your teen, do your research. Check to make sure the vehicle has performed well in crash tests and ranks highly for safety. If your area or school offers a driver education or “safe driver” class, enroll your child in the program immediately. Teen drivers should avoid having teen passengers for at least six months to a year after they get their license. Always model good driving behaviors for your teen. We are in the midst of what the AAA Foundation for Traffic Safety calls “the 100 deadliest days of summer,” during which teen driving fatalities rise every year. In fact, according to AAA, “new teen drivers are three times more likely to be involved in a deadly crash.” Fatal teen accidents are a growing problem, but there are steps we can take to protect our children from becoming a statistic. Read on for more information about how to avoid serious injury or death in a motor vehicle accident this summer. Teens are not in school. Teens are on the road more in summer than during the school year. Teens have significantly less driving experience than their adult counterparts. Parents are the number one role model for teen drivers. Spend as much time as possible driving with your children to ensure that they have ample time to get acclimated to different driving conditions and situations. It’s also crucial to model good driving behaviors for your children. That means no speeding or texting while driving, and always wearing your safety belt. And talk to your kids about dangers, especially distracted and aggressive driving. A MA auto accident attorney can help you determine how to proceed if you’ve been harmed due to a distracted or aggressive driver. When teens are driving with one other teen passenger, their risk of a fatal accident increases by 44 percent. When three or more teen passengers are in the car, the risk of a fatal accident quadruples. When an adult passenger age 35 or older is present, the risk of a fatal accident decreases by 62 percent. About 70 percent of teens admit that they they’ve used a cell phone while driving in the past month. More than 50 percent of teens admit to texting while driving in the past month. Approximately 80 percent of teens underestimate the dangers of their own distracted driving habits. About 94 percent of teens admit to keeping their cell phones turned on while driving. A Boston motor vehicle accident attorney can help you recover damages if you’ve been injured due to another’s negligence. The death of a child is every parent’s worst nightmare. Considering that motor vehicle accidents are the leading cause of death for young people, it’s essential to educate teens on safe driving behaviors. The following tips can help you protect your teen this summer, and all the time. Tell teens to never text or talk on their cell phone while driving. Teach them to put their phone in the glove box while driving, and pull over to a safe location if they need to send a text or make a call. Speeding is always dangerous, but it’s especially risky for inexperienced teen drivers. Teach your kids to always follow the posted speed limit. If possible, new teen drivers should avoid driving at night or in inclement weather until they have more experience. Evening hours and weekends are the worst time for teen accidents, year round. A child’s sixteenth birthday can be both exhilarating and anxiety-inducing for parents. On one hand, mom and dad get a much-needed break from driving to soccer practices. On the other hand, parents become understandably concerned about car accidents, drunk driving, and other dangerous behaviors. And that’s not all; parents are often shocked when they find out how much their auto insurance rates are going to increase. It may seem unfair, but teen accident statistics support high rate increases. Read on for more information about how to keep your kids safe and your insurance costs low. The average insurance increase when a teen driver is added to a married couple’s policy is a whopping 79 percent. If the teen is a boy, it’s even higher at an average of 92 percent. Although these rate increases seem high, they are actually down from previous years. In 2013, for example, the average rate increase was 85 percent. If you’ve been injured in an auto accident, contact a Boston injury lawyer today. Have your teen driver take a driver safety training course. Most insurance carriers provide discounts for young people who have completed these programs. If you’re not sure, call your insurance company beforehand to determine what discounts apply and how to ensure you receive them. Encourage your teen driver to keep his or her grades in good standing. Some policies provide up to a 15 percent discount for students who maintain a B average or better. Similarly, if your child is on the dean’s list or has received comparable honors, this may equate to money in your pocket. The car matters. High performance vehicles, such as sports cars, will typically result in a greater increase than a basic, four-door sedan. Insurance companies like safe, family vehicles (warning: your teen driver will likely disagree with this logic). Shop around. The best insurance company for your family when it was just mom and dad may not be the best insurance company when it’s mom, dad, and a teenage son. Consider your deductible. If your low premiums encouraged you to get a low deductible, it might make sense to increase your deductible with your rate increase. By increasing your comprehensive and / or collision deductibles by even $500, you may see a significant drop in your overall rate. Teach your teen the importance of utilizing safe driving practices at all times. Make sure he or she gets plenty of practice with you in the car, and on back roads, before driving alone or on highways. Model good behavior; put your cellphone in the glove box when you’re driving, obey the speed limit, pay attention to the road, and buckle up. Once your teen driver develops a history of good driving habits, the rates will begin to drop. According to statistics, teen motorists are more likely to be in a car crash than motorists who belong to an older age group. In 2012 alone, 39 people ages 16 to 20 died in Massachusetts car crashes-that’s over 11% of all traffic deaths in the state that year. This figure is higher than the national average of 9.6% . Driver inexperience is the most common cause of young driver traffic accident. Other common causes include speeding, poor seatbelt use, alcohol, and distracted driving. Just this month an Attleboro teen died in a single auto collision. Christopher Hutcheon 18, was accompanied by other teens in a 2000 Toyota Camry when the vehicle struck a tree in Mansfield. The car, which another teen was driving, split in two. Hutcheon suffered a collapsed long and ruptured spleen. He was placed in a medically induced coma before later passing away. Five seconds is the average time your eyes are off the road while texting. If you are obeying the speed limit and traveling at 55 miles per hour, that means you covered the distance of a football field. 60% of drivers use cell phones while they drive and 39% of teenagers say that they have been involved in near-crash scenarios because of their own or someone else’s distracted driving. It is well known that texting while driving is dangerous and reckless; however, 78% of teens and young adults reported that they have read a text while driving.